Three U.S. Army parachutists were injured in a night training accident early Tuesday at Homestead Air Reserve Base near Miami, authorities said. 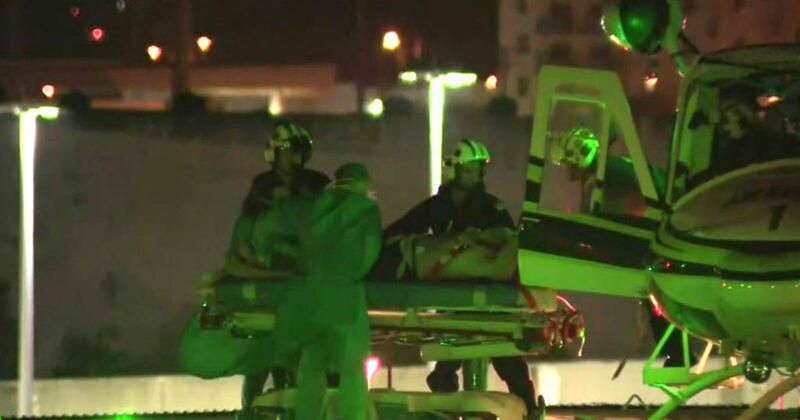 Miami-Dade Fire Rescue confirmed to CBS News the parachutists were transported from the base to a local hospital. An Army spokesman, Sgt. 1st Class Robert Dodge, said in a statement that the soldiers belonged to the Army’s parachute team, the Golden Knights. The accident happened during a routine night training operation around 4 a.m. Tuesday, Dodge said. The soldiers were being treated at Jackson Memorial Hospital’s Ryder Trauma Center in Miami, Dodge said. The incident was being investigated. Two patients were transported to the hospital in one helicopter, CBS station WFOR-TV reports. A third patient was transported in another helicopter. Base spokeswoman Donna Dixon told The Associated Press their conditions won’t be released until their families have been notified. No further details were immediately available.